Where and when does Violence against Women occur? The Action Group successfully spearheaded the campaign for the Welsh Government to introduce Wales’s first national strategy to tackle violence against women (VAW), The Right to be Safe (March 2010), and contributed to its development. 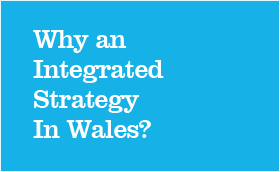 In 2009 we published a comprehensive report making the case for the need for such a strategy, Violence Against Women: Why an Integrated Strategy in Wales? 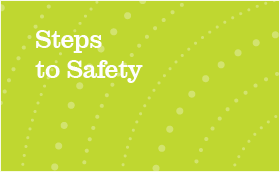 The Group continues to monitor the effectiveness of this strategy, including through the publication in 2011 of our first annual Scorecard marking the Welsh Government’s progress on the recommendations in our original report, Steps to Safety. The group warmly welcomed the First Minister’s announcement in the Welsh Government’s five-year legislative programme in July 2011 of a Domestic Abuse (Wales) Bill, and particularly the more recent announcement (July 2012) that this Bill will in fact cover all forms of violence against women, both in content and title. 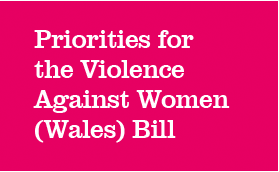 Our most recent focus has been to work to ensure that the forthcoming Violence Against Women (Wales) Bill makes a real difference to the lives of women affected by any form of VAW, wherever they live in Wales. Our latest report is part of that work, and we look forward to continuing to provide expert input to the legislative process as the Bill is developed.